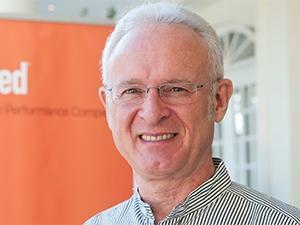 Arthur Goldstuck: The barriers to more active use of the Internet have to come down. The Internet has become a vital tool for communication and information in SA, highlighting the importance of connectivity as a key to economic access. This is one of the most significant conclusions to come out of the Internet Access in South Africa 2017 study, produced by World Wide Worx, with the support of wholesale fibre connectivity provider, Dark Fibre Africa (DFA). "Internet access is becoming synonymous with economic access," says Reshaad Sha, chief strategy officer and executive director at DFA. "For this reason, it is critical that the country prioritise the roll-out of infrastructure in underserved areas, especially outside the major metropolitan areas." The report reveals the single most common use of the Internet among South African adults is communication, with 31% of respondents reporting this. Almost 25% said their most common use of the Internet was for social networking, followed by almost 24% who said it was for information searching, and only then came entertainment, at 22%. The report includes data from the Target Group Index (TGI) survey, conducted by Ask Afrika, the largest market research organisation in Africa. World Wide Worx collaborates with Ask Afrika in the structuring of e-commerce, digital and electronics components of TGI, which comprises 15 000 interviews across a vast range of consumer topics and behaviours. The question on the primary uses of the Internet was answered by a sample representing 4.1 million South African adults across all income and education levels. While communication was the single most important use, e-mail use was reported by only 16% of respondents, indicating it is becoming a less important element of the communications mix, as social media becomes a default channel. Shopping and finance applications were cited by only 15% of respondents, confirming previous World Wide Worx research that showed e-commerce was still not a major element of South African retail in general. "The findings emphasise the potential of the Internet to enhance lives when we have greater penetration across all segments and demographics," says Arthur Goldstuck, MD of World Wide Worx. "Over time, we will see higher proportions of people engaging in a wider range of activity, but the barriers to more active use will first have to come down," Goldstuck adds. DFA's Sha believes a country's capacity to connect its economy to the Internet and make these services available and accessible to citizens and businesses is key to its success in the digital age. "Open access fibre infrastructure deployment and availability plays a critical role in enabling service providers to deliver a range of high-speed fixed and wireless Internet access technologies and services to their consumer and business markets. This contributes significantly towards the further development of the knowledge economy in South Africa," Sha concludes.